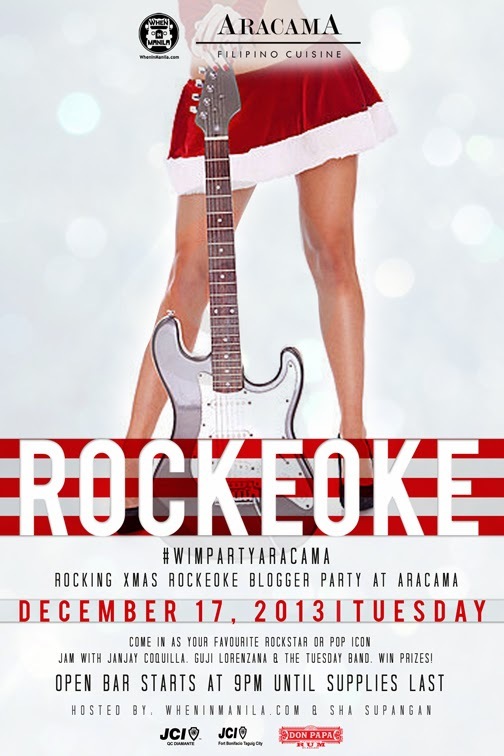 When In Manila will hold a Rockeoke Christmas Blogger Party to be held on December 17, 2013 at Aracama located at the Fort in Taguig City. This is an event for WhenInManila.com writers, photographers, partners, sponsors, friends, bloggers and their guests. Open bar starts at 9pm. Attendees will don their rocker outfit, jamming with Guji Lorenzana, Janjay Coonquilla and the Tuesday Band. This event is hosted by WhenInManila.com, Sha Supangan and JCI Fort Bonifacio.